The Finnish Social Insurance Institution (KELA) has given some preliminary elements concerning Finland’s plan to experiment and then generalize the implementation of a basic income in the country. In its final version, the basic income would replace other benefits people currently receive, and would therefore be rather high, as indicated by Kela’s Research Department Director Olli Kangas. It is considered that all Finnish citizens would be paid an untaxed benefit sum free of charge by the government, 800 euros a month in the final version, 550 euros monthly in the model’s pilot phase. According to YLE, “the basic income model’s full-fledged form would make some earnings-based benefits obsolete, but in the partial pilot format benefits would not be affected. The partial model would also retain housing benefits and income support packages”. Olli Kangas has later given some additional information. The pilot phase would be nation-wide, but the citizens participating in the experiment would be chosen through a lottery. However, the experts are still trying to find a system which would respect the Finnish Constitution. The experts would propose to the government in March 2016 different systems, and then a choice should be made in November 2016 in order to begin the pilot phase in 2017. Finland would be the first country to implement such a universal basic income, which is quite impressive, but there are still some interesting questions about this initiative. Is there a chance that the basic income will end poverty in Finland? The idea of a basic income has its origin in particular in the libertarian economist Milton Friedman writings. In 1962, he advocated a minimum guaranteed income via a “negative income tax.” Friedman believed that it should be accompanied by an end to any minimal wage system and any other system of social protection. Friedman also believed it should be as low as possible and financed by a flat income tax (which means that the tax would be universal and at the same rate for all). So in reality, what Friedman was pushing for was a system which would provide employers with people ready to work for lower salaries at no additional cost to employers. For this reason, an important point is to know at which level basic income is defined. If it is under the subsistence level, people will not be able to survive; they will be obliged to take any job at any salary, which will cause salary reductions. If it is sufficiently high, as generally requested by the left, there is a risk that people will not take any job, as their basic income would be sufficient for subsistence. But the US experiments have proven that this risk is low. In Finland’s case, the plan announced two days ago includes a basic income of 800 euros per person. Will it be sufficient to avoid poverty, which is one of the objectives that such a reform may produce? If you consider the basic needs for a person who lives alone and is not working, this level of income does not allow for a place to live, to pay for food, or to provide for basic needs in the Helsinki region. It compares favourably with the basic state pension for those who have not a work pension (the basic pension represents 636 euros today), but these pensioners benefit from housing support and are known to be in a poverty trap. For example, the US experiment launched in Denver and Seattle in 1970 for 5,000 families was providing between $3,800 and $5,800 per year (in today’s euros it represents between 20 000 and 32 000). Utrecht, a city in the Netherlands, experiments also a basic income at the level of 850 euros for a single person and 1 300 euros for for couples, but Olli Kangas has indicated that this is too much for Finland, where social benefits, in particular pensions, are lower than in the Netherlands. So it looks like the main objective of the reform is not to end poverty, but that Olli Kangas was apparently instructed to propose a reform without any increase in the expenses: the objective is more to simplify the bureaucracy, but also to push unemployed people to take any job, as they would not lose the basic income. For the moment, it looks like the Finnish experiment would be closer to Friedman’s views than those of the left supporting a high-level basic income in the attempt to end poverty. However, the project is not presented, so things can change. Olli Kanagas will also have to address the question of the possible inequalities on the Finnish territory, due to the variation of housing prices, and have to consider the possibility to keep some social benefits, such as housing benefits. What type of basic income? It looks like the present plan is to implement a universal basic income in Finland, which means that, according to Olli Kangas, “all Finnish citizens would be paid an untaxed benefit sum free of charge” at the level of 800 euros. This formulation leads to some interesting questions. Will all Finnish citizens, including children and babies, receive 800 euros (which would be positive for families)? This does not seem to be the case, as Olli Kangas in another interview spoke about adults, which means that family benefits will have to stay . Another question is the reference to “Finnish citizens.” Does it mean that non-Finnish citizens will be excluded? It will be difficult to exclude EU citizens because presently non-EU foreigners working in Finland receive the same social benefits as Finnish citizens since they participate in Finland’s development. This may be a matter difficult to accept for some of the parties in the coalition. Also, will Finnish citizens abroad receive 800 euros? Another usual debate among the supporters of the basic income is the necessity (or not) to have some kind of socially useful activity to perceive it, except if you are unable for reasons of age or physical or mental condition to perform any activity. For the Finnish experiment, nothing has been said about possible conditions of eligibility . Will it be possible to get the basic income while spending your time on Lapland’s ski tracks or enjoying a nice cottage life near a lake in central Finland? This dilemma, illustrated by John Rawls (the Crazy and Lazy dilemma, in “A Theory of Justice”), has pushed some specialists to recommend limiting the benefit of the basic income to people who participate in a socially useful activity, or who cannot work because of their age or their handicap. But there are problems with this scenario. If some activities, such as voluntary work for NGOs, can be easily included, what about cultural activities, such as painting or drawing? What about playing cards with a group of friends who are needing some company? I am not so sure that in a protestant society, it will be easy to agree on 800 euros a month for all without any condition. This has been why, even if the US experiments went well, they were not generalized . According to an interview published in the regional news consortium Lännen Media, Liisa Hyssälä, director general of Kela, says the reform will save the public finances millions of euros. This is a surprising declaration, as previous calculations in Finland have shown that the basic income would be too expensive for the country. For example, a report written in 1994 by Osmo Soininvaara on the subject suggests that a complete basic income is not financially feasible in Finland and argues instead for a partial basic income that does not cover all the costs of subsistence. Pentti Arajärvi, who had been commissioned in 1996 to write a report for the Ministry of Social Affairs and Health on the question of basic livelihood, wrote an article in the “Economy and Society” magazine in January 1998, in which he estimated the basic income systems to be too expensive. In the same magazine an article by Matti Tuomala, Professor of Economics, “Incentive and Encouraging Welfare State,” gave strong support to the existing insurance and means-tested social security system. And even Olli Kangas seems to hint that the that the costs will be comparable to the present system. At the end of the 20th century The Finnish Ministry of Health and Social affairs used and developed models to perform simulations implementing basic income. And from the beginning of the 21st century, KELA, the Finnish Social insurance, developed a model called JUTTA, later improved, which allowed for more detailed simulations. In 2004, researcher Pertti Honkamäki made calculations using the JUTTA model with a 400-euro-per-month basic income, replacing social benefits up to that sum. His duty was to estimate a taxation percentage feasible in Finland, assuming that the basic income was 400 euros a month and replaced social benefits up to that sum. 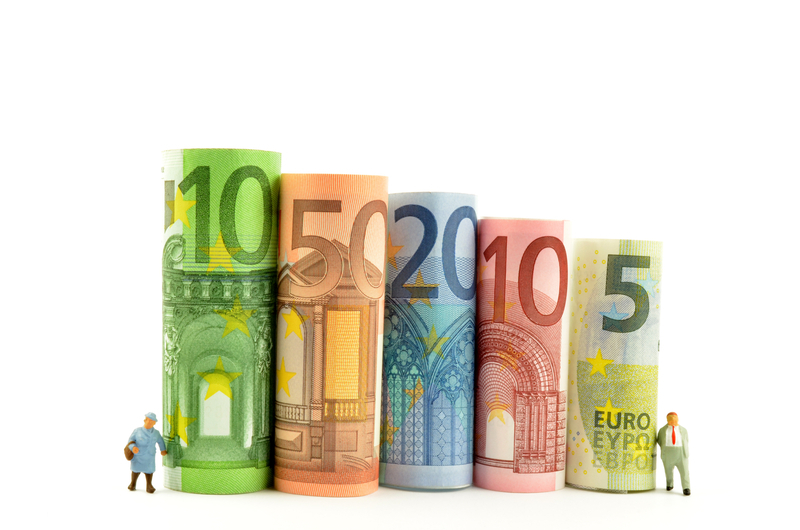 According to the calculation, the income tax percentage for those who earned more than 60,000 euros a year would be 55 percent and for the rest of the citizens 48 percent, which seems hardly sustainable. However, in this model, reductions in expenses due to decreasing bureaucracy and behaviour of citizens were not taken into account. The last word should go to Pertti Honkanen, senior researcher at KELA, who held a presentation at an international workshop on “Universal Basic Income as a European Alternative” held in 2011 at Tampere University. Based on the JUTTA model, he presented his calculations for a basic income of 400 euros proposed by the Left Alliance, and concluded that “it is not impossible to construct a basic income system incorporating many features of the actual system, that income transfers between households and individuals are big but not unreasonable, and that means-tested benefits are still needed (because of high housing costs). But would the increase in taxes be acceptable for a basic income of 800 euros? So Liisa Hyssälä has perhaps been a little too optimist in her declarations. so it will be interesting to analyze in detail KELA’s proposal in November, as these financial risks and the declaration of Liisa Hyssälä may mean that the basic income may not be exactly what its supporters are expecting. Could the basic income be accepted in Finland? From the point of view of the political parties, the positions are quite clear at this stage, and there is a large majority in favour of the idea of a basic income. The Greens have been always supporting the idea, and the Left Alliance is also positive. The Centre Party has proposed to include it in the government’s program, well supported by the National Coalition Party and more reluctantly by the Finns Party. The Social Democrats were i against it some years ago, with an argument based on a publication by Social Democratic Kalevi Sorsa Foundation, “Basic Income. A Hard or Soft Solution?” written by the trade union researcher Ville Kopra, who was very critical towards the basic income. The reasons for the opposition by the Social Democrats have been clearly stated by Eero Heinäluoma, one of their leaders, in a public debate for the 2007 election: “Basic income encourages inactivity, is too expensive, means just an additional system among the others and does not support Lutheran work ethics.” Their position probably also has a lot to do with the links between the Social Democratic Party and the trade unions, who are totally against the idea of an income which would not be linked to work, would certainly lead to a reduction of salaries, and benefit mainly employers in line with Milton Friedman’s proposal. However, there has not been in 2015 really strong positions against among the social-democrats. Will Finland adopt a different view on work with the basic income? Behind the implementation of the basic income, there is the question of the status of work in the country. In European countries, we have arrived at a situation where large numbers of people are unemployed, with very little chance that these numbers will go down in the near future. This is particularly due to the (proven) fact that automation and robotization are destroying more jobs than innovation can create. This should push us to think about the possibility that this could be a permanent situation, where we will need fewer workers to produce what we need. In addition, with the reduction of resources on the planet, an ever-growing production does not seem so realistic. Some are underlining that we are entering a new era, and the present social systems and its usual tools may be inadequate, as it proves that poverty and social problems have increased in the last years without any serious sign of improvement. In this case, there may be different approaches to address the situation; one would be to decrease the working time (and the salaries to a certain extent), as it is already being done in certain companies which have difficulties, so that more people could be employed; the other way is to recognize the value of any other activity performed by people who do not wish to participate in the production through a basic income. It may lead to a different society, where it would be possible to choose cultural activities or non-paid social activities instead of work. This could be the basis of an interesting debate, even if it would not probably be easy in a protestant country where work is considered very important. That is certainly the reason why other countries have been surprised by the initiative of the Finnish government. For the moment, the idea seems to be developing without problems, but there will be two difficult moments: when the proposal is published, people will begin to see who the losers and the winners are with this new system, and, it could provoke strong reactions. Later, when the decision comes to a vote in the Parliament, some of its members may become less in favour of it. Also, one cannot exclude a change of mind, as it happened years ago in the US. But in Finland, when the decision to do something is taken at the political level, it happens frequently that the reform is implemented: the Finnish “sisu” may be a major element of success, with the expertise of Kela’s teams. the next months will be interesting, and the rest of the EU will certainly keep following this major Finnish initiative. Allowing people to choose to ski on the tracks or enjoy that nice cottage life (if the income allows) should be broadly perceived as a benefit of a GBI, otherwise it’s likely to be a disaster. The Finnish government does not finally plan to attach any condition, so it is really a basic income. It’s true that Milton Friedman advocated a form of Universal Basic Income, but it’s bizarre to say that he originated the idea! It goes back way, way earlier. Friedman is the father of the idea of a negative income tax as a means of implementing some form of basic income. Notably, the 18th century had a number of people proposing similar sorts of things. A basic income funded by the rental value of land (“ground rent” or “land rent”) is an idea supported by the old Classical economists, who pointed out that land value is a function purely of demand and should be shared among those who demand it (everyone). The idea definitely pre-dates Friedman, who probably thought of it less as a human right and more as just a way to administer welfare. A basic income funded by the rental value of land (“ground rent” or “land rent”) is an idea supported by the old Classical economists, who pointed out that land value is a function purely of demand and should be shared among those who demand it (everyone). It definitely pre-dates Friedman, who probably thought of it less as a human right and more as just a method of administering welfare. In the EU? Shouldn’t the title be ‘… in the world’? Is there any difference between a dole and the basic income? There’s no place to get money for it than from the taxes of those who pay taxes. So just mathematically basic income of those, who pay taxes, should less then the share of their taxes coming to the basic income. Suppose there’s a model state with population of 11 people, suppose 10 of them have a job and 1 doesn’t. Let these 10 people earn 21 euros per month and pay 1 euro as taxes that come to that one who doesn’t work (as a dole). So that one receives 10 euros per month, and the rest 11 get 21 – 1(taxes) = 20 euros per month. Now suppose there’s no dole, but there’s a basic income, say, 10 euros per month. So all 11 citizens receive 10 euros each, e.g. 110 euros total. To find these money somewhere, those 10 people who work pay 110/10=11 euros per month as taxes. So their netincome is 21 + 10(basic income) – 11(taxes)=20 euros per month. And that jobless one gets the same 10 euros per month. So the basic income = the dole. Probably, the high dole. Am I right? Quite a lot of differences, yes. Simplicity, for one. No real system works anywhere near as simply as the one you’ve described. Yet. Here’s the really big difference, though: universality. Anything that would normally be described as ‘dole’ is withdrawn once someone starts earning. Usually it’s withdrawn roughly in proportion to how much they earn, so that the effective marginal rate of income tax for the very lowest earners is usually very high indeed – sometimes as much as 90% or so. This also means that most people in a given society don’t see any direct advantage from social security, which comes with various disadvantages. Another point of comparison you might like to think about is tax-free personal allowances. In Britain (I don’t know how it works where you are) there’s a set amount someone can earn before they have to pay any income tax. So anyone earning *above* that level (currently 10,500, I think) gets the full benefit of the tax-free allowance (it works out to about 2000 quid a year), whereas those earning *less* get some fraction of the full amount off what they would have paid. A universal basic income operates similarly (hence Friedman’s preference for talking about a ‘negative income tax’) except that everyone gets the full amount, even if they don’t earn that much to start with. A basic income doesn’t displace gedanken laissez-faire capitalism. It replaces the welfare system we have today. The existing system has huge disincentives to work. In almost all countries with the existing system of welfare every dollar/euro of welfare reduces the beneficiary’s net income by more than $1 due to the existing idea of income substitution and real world overhead costs associated with a job. The major one being that somebody existing purely on welfare doesn’t need full time transportation. Somebody with a job generally does. In most rural areas that job related expense is substantial. It should be noted that there are more poor people in rural areas than urban areas. It should also be noted that there is well documented fraud in the existing system. US states that required stricter identification documentation reduced welfare claims by 1/3 in a single year. More housing benefit fraud has been found than the HUD has the capacity to prosecute resulting in low pay out no jail time settlements. So the idea of a basic income is not to displace some ideal academic laissez-faire capitalism but to eliminate the existing real world system that everyone agrees is corrupt and rewards non-work. I like the idea of a basic income, but at a level that discourages laziness. The ideal level would be such that 50% like it and 50% don’t, The level could be decided by a referendum amongst voters in the area concerned rather than leaving it to be promoted by any particular party. The referendum could be run at the same time as each General Election. Funny thing about basic KELA income coverage is that it comes with a 20% Tax so the actual sum is 540€ not 650€ as stated in the official documents but of c. 650€ looks a whole lot better then 540€ in the papers. as for the rents the greatest irony is that you average mortgage bill is only 200-300€/month for a flat (about 20 000€ outside capital) but banks aren’t willing to give housing loans for the unemployed because of reasons they claim that you don’t have steady income and blah blah but if something is steady it’s KELA income but then how come I can afford to pay for rent that’s twice my mortgage !!!??? this is the part where the bank stonewalls and escorts you out. In my opinion the modell should be very simple. 1000.- € per adult over 18 and 500.- € for anyone under 18. Any additional money earned should be taxed with 50% without any chance to lower that tax. Any other benefits like housing money etc. should be completely dropped. I am sure that almost all people would still want to work or do something usefull for the community, since just sitting around and consuming is not satisfying.I do not want to lengthen this text with all the possible arguments for and against it, therefore I just ask you to compare that calculation against your current income and then ask yourself, would you favor it or not? MOR4Humaity is a new activist initiative geared towards focusing multi-movement attention on the concept of a universal basic income. Not spamming the page here, just something I think more people should be focusing on. Collaboration that is. You can find their page on FB if you so desire. Great article, glad this concept is seeing more trials. Well, I’m a Finnish citizen, and I’m looking to change my citizenship, asap (United States, I’m looking at you). The utopia politicians are building is unsustainable, the country is already getting into debt at unprecedented rates, it can’t meet even it’s current bills, not even close. In other words, Finland is already bankrupt because of all the already existing socialist policies. Incentivizing laziness with basic income (no strings attached) is only going to make things worse, much worse. The utopia is going to turn into dystopia in a few short years. A wealthy country that can look after it’s citizens? Where have we heard that before? Oh yeah, the oil rich countries in the middle east. BEWARE Nazi instigators paid for by America! You know America is pretending to be wealthy but is trillions in debt. You know they have no intention of paying ANYONE back. They’re already eyeing up YOUR wealth. Even their “allies” have to make sacrifices to the God Of Obama. Where do refugees come into it? The post was pretty explicit about the Basic Income being available to *Finnish citizens*. There might well be a case for extending it to refugees too, but that’s not part of what is currently being discussed. The Finns better come up with something soon or they will become Greece in short order. I will be watching this develop with great interest. Good luck Finland. This article suggests that Finland is already planning for a nationwide rollout, which I believe is false. Finland has committed only to building out the pilot, and depending on the pilot’s outcome will evaluate whether to move forward. If this is incorrect, please provide a primary source for the claim that they’ve decided to move forward regardless of the pilot’s success.